Carmi organized a blog hop featuring eleven great artists/jewelers featuring fish leather. This is a link to the hop! Carmi demonstrates a faux soldering technique on glass pebbles! Elizabeth Owens sent Jean an amazing collection of beads and materials for the BSBP...you are invited to come and not believe your eyes!!! Competing to win a $100 store credit, Andrew created a pair of earrings for a Design Challenge hosted by Nina Designs. Vote now and help pick the winner! How do you approach a design when you only have an hour to select beads and create? Lisa shares her strategy and 1 hour project. 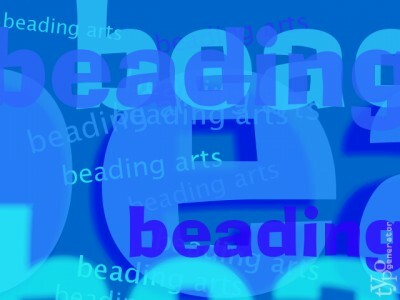 Catch a mini-review of Cyndi Lavin's completed bead embroidery book, Some Assembly Required.